When I first got the Olympus OMD EM1 over 3 years ago the first feature I wanted to try out was the 1080HD video. As my previous camera was the Nikon D700 this did not come with video. I would find at times that I missed this feature as quite often I felt video would help capture a piece of animal behavior better than a still image. Then with the introduction of the OMD EM1 Mark II this came with 4K video. I was absolutely blown away with the difference in quality. You will see the difference in the two videos below, the first one is captured in 1080HD on the Mark 1 and the second video is in 4K taken on the Mark 2. I will have to recapture all the footage I have previously taken in 1080HD! I use the Rode VideoMic GO On-Camera Shotgun Microphone and DeadCat VMP Wind Cover Kit. This provides everything you need for high-quality indoor or outdoor audio recording. The VideoMic is a lightweight microphone at only 2.6 ounces, so keeps your camera setup lightweight, making it ideal for handheld shooting. 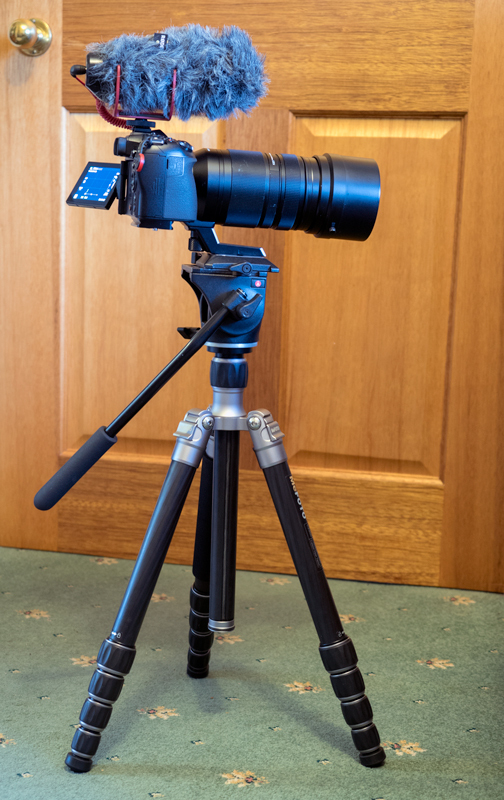 It features an integrated Rycote Lyre shock mount for isolation from bumps and vibration, and offers battery-free operation, using instead the plug-in power from your camera’s 3.5mm microphone input. The Rode DeadCat VMP Wind Muff is an artificial fur wind cover for the Rode VideoMic Pro that also fits the Rode VideoMic Go. The windshield is designed to minimize any wind noise when recording in high wind conditions very useful when living in Scotland! The Manfrotto 701RC2 Video Fluid Head is no longer produced. It is small and lightweight, and is well-suited for still photography cameras with medium and long telephoto lenses.